What is a disorderly persons offense? If you have been charged with a disorderly persons offense in New Jersey, you are likely wondering what this means. Is a disorderly persons offense a criminal charge? Is it a type of crime? What is a disorderly persons offense? In New Jersey, a disorderly persons offense is a classification of criminal offense similar to a misdemeanor. It is not technically a “crime,” also known as a felony. There are a vast array of offenses that fall under the category of disorderly persons offense in NJ, including possession of less than 50 grams of marijuana, simple assault, harassment, resisting arrest, criminal mischief (if property damage is $200 or less), and underage drinking. Here’s what you need to know if you’re arrested for a disorderly persons offense in South Jersey. Unlike felony charges for first degree, second degree, third degree, and fourth degree crimes, disorderly persons cases are handled in the local municipal court where the charges were issued. So, if you’re charged with a disorderly conduct in Mount Holly, you will be required to appear in Mount Holly Municipal Court as opposed to Burlington County Superior Court. This is important for a variety of reasons. 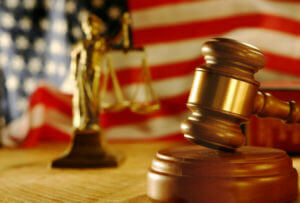 First of all, a municipal court case does not entitle you to a trial by jury. Your disorderly persons charge will be heard and decided by the presiding judge in the specific municipal court. Also, a disorderly persons charge is not punished by incarceration in New Jersey State Prison. Any imprisonment for a disorderly persons offense will be served in the county jail. If you are convicted of a disorderly persons offense in New Jersey, you face jail, fines, a criminal record, and a host of other potential penalties. Specifically, a DP offense exposes you to up to 6 months in the county jail and a maximum fine of $1,000. You may also be sentenced to pay court costs and fees, restitution to the victim, community service, probation, a period of driver’s license suspension, and the conviction will appear on a criminal background check. Under current NJ law, you are eligible to expunge a disorderly persons offense from your criminal record after five years from the last date of conviction, completion of probation, payment of fine, or the latest date on which the sentence was completed. Depending on the specific disorderly persons offense you have been charged with, you may be able to have the charges dismissed by enrolling in a diversionary program. For example, conditional discharge is a program available to first-time offenders charged with disorderly persons drug offenses like marijuana possession and possession of drug paraphernalia. If you complete a period of probation and comply with program requirements, the charges against you are dismissed. Similarly, the conditional dismissal program allows a person with no prior criminal record to have a charge like shoplifting dismissed after a probationary term. A knowledgeable criminal defense attorney can examine your case to determine if you are eligible for a diversionary program in municipal court. At our criminal defense law firm, our highly experienced criminal defense lawyers regularly defend clients charged with disorderly persons offenses in Burlington County, Camden County, Gloucester County, and nearby areas. Mr. Fay, our firm’s founding attorney, has been defending clients against misdemeanor criminal charges in municipal courts in Evesham Township, Cinnaminson, Moorestown, Cherry Hill, Deptford, Washington Township, and throughout South Jersey. To find out how he can help you resolve your disorderly persons offense and move on with your life, contact our criminal defense law firm at 609-832-3202. We provide free consultations and are available anytime to assist you.